Hello, dear friends! This is Grandmaster Sergey Shipov, again at my post – in front of keyboards, mice, cats and monitors. The eighth game of the World Championship match is about to start, and the suspense has reached fever pitch. Anand finds himself in a tough situation – his play has been disjointed and his form is clearly far from ideal. However, there’s nowhere to hide as the title is slipping out of his grasp. He has to gather himself together and use his will power to become a dozen years younger and give all he’s got. After all, Vishy is immensely talented and for him there’s nothing impossible in chess. And his opponent seems to be beatable… Or at least he was! What Boris will be like now after his long-awaited victory is hard to say. Of course, success breeds self-confidence, it inspires you, but negative side-effects are also possible. For example dizziness, a loss of vigilance, underestimating your opponent, and so on. 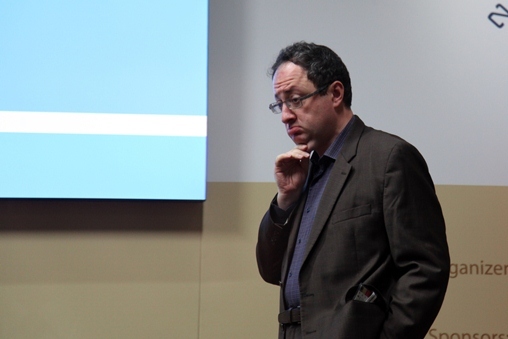 On the other hand, Gelfand isn’t a young man but one who’s upright and very serious. It’s unlikely he’ll commit serious errors… As for today’s encounter, then personally I expect the Gruenfeld Defence. I think the Champion’s team will have had sufficient time to prepare an antidote. There’s no shortage of sharp variations in that opening, so there’s scope for displaying your analytical talent and also creativity at the board. Finding himself if not on the brink of the precipice, then close to it, it’s unlikely Anand will start to be cautious and impose limits on himself. In any case, as White he needs to be ready for an all-out fight, sparing neither his opponent nor himself. 1…Nf6 2.c4 g6 My premonitions didn’t fail me. We’re heading for the Gruenfeld Defence. 3.f3 Again that same Flohr-Alekhine variation. 3…c5 Boris is the first to leave the path marked out in the third game of the match. White seizes the centre. Here it’s possible to switch to either the Benko (Volga) Gambit or the Modern Benoni system. 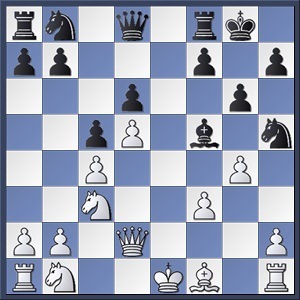 5.e4 Bg7 6.Ne2 A well-known trick that I used to like in my distant childhood. The king’s knight rather than the queen’s knight heads for c3. 6…O-O Gelfand hasn’t yet determined the direction of his counterattack. The b7 and e6 pawns are lying in wait. Nevertheless! I must admit I wanted to write about this alternative for Black, but I thought it was insufficiently solid – not something for a World Championship match. Black’s provoking a white pawn avalanche i.e. the obvious move now is the g2-g4 advance, after which it’s hard to come up with anything other than retreating to f6. And what do you get? Black will have lost one and a half tempos and given White the basis for an attack. An extremely risky strategy from the Challenger! As it’s not hard to guess, this is a novelty. Previously people played more simply and solidly. 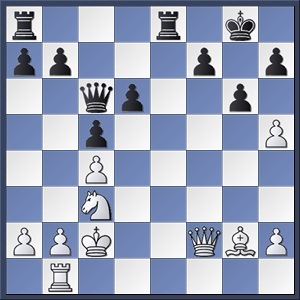 8.Bg5 Vishy didn’t go for it, but he made a perfectly sensible move. White doesn’t allow e7-e6 and in turn provokes Black into pawn jabs i.e. the f7, g6 and h7 pawns might soon abandon their familiar places. Boris is again having a long and hard think. It’s absolutely clear that already, on the eighth move, the grandmasters are playing on their own, without home analytical support. A rare occurrence for World Championship matches nowadays! 8…Bf6 Every move is a cause for amazement. I’ve never seen something like this in all my life. Black’s pawns are doubled on the f-file, but his king’s knight is alive. Alive and still provoking the fire of the g2-pawn. 10.Qd2 The psychology of the Indian grandmaster is as transparent as glass. At the moment he doesn’t trust himself, so he’s striving to avoid sharp movements, preferring the methodical implacability of a steam roller to the deft thrusts of a fencer. The pawn remains on g2. White is completing his development according to plan. By the way, here as well it was possible to think about the system with Nb1-a3 and 0-0-0, after which it would be possible to attack without the slightest doubt about the rightness of your cause. 10…f5 But the Israeli grandmaster is, on the contrary, feeling bold! Move by move he’s sharpening play, dragging his opponent into complications. 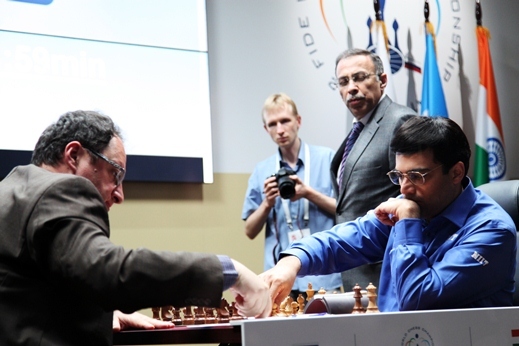 Gelfand is striking while the iron’s hot – before optimism returns to Anand’s play. And he’s opening the centre before his opponent has evacuated his king. 11.exf5 White’s clearing out the centre. 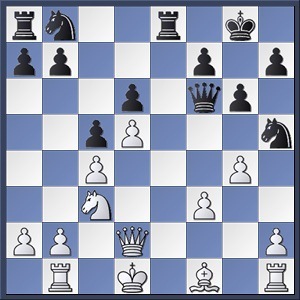 13.Kd1 And the same reaction from White! 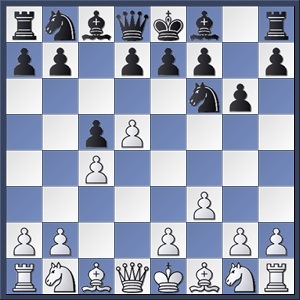 After the black bishop is exchanged on b1 the white king will comfortably locate itself on c2. 13…Bxb1 There was no other way of saving the piece. Wha-a-a-t? Boris is continuing to play riskily with the motto “Not a step backwards!”. It’s as if he has to win at all costs and won’t get another chance. Such sharp, provocative and here hazardous play is something I really didn’t expect to see from him. Black’s queen is heading to take the h1-rook and White is almost obliged to sacrifice it, as defending the f3-pawn with the bishop would allow the h5-knight to come to f4. 15.gxh5 Absolutely the only move. 15…Qxf3+ 16.Kc2 Qxh1 But will the glutton return from its raid? Shipov came to the conclusion that 8.Bg5 was a perfectly good move and 8.g4 was far from clear (the Russian analysis of that line which he entered into ChessBase ends in the single word “a battle”). After 10.Qd2?! (now it was time for 10.g4!) 10…f5! 11.exf5 Black was still fine, but 11…Re8+ would have been the best move in what Shipov described as “a sea of variations”. All the lines end in equality, though by no means lifeless equality. After 12.g4! 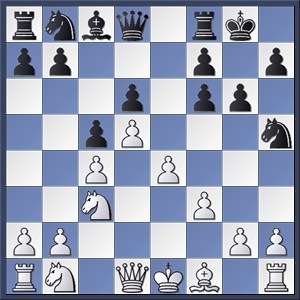 Black’s best reply was 12…Qh4+! when White is only slightly better. After 12…Re8+? Black’s hanging on. 14…Qf6 was of course suicide, while 14…Nf6! would still have forced Anand to demonstrate a win. In general Shipov was bewildered by the way Gelfand played the game, and noted that Anand hadn’t been required to do anything out of the ordinary. As he lives in California, where the games start at 4 am, he’s not planning on translating the commentary live, but it should be available around a couple of hours after each game ends. Gelfand’s impressive; in his first WCC he’s made it to the top of the blunders hall of fame. I am happy that Anand had won being a diehard Anand supporter. 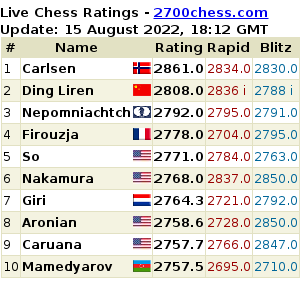 But all the same it makes me sad to see Gelfand making such moves, where has his solidity gone all of a sudden! Thanks Colin for the excellent work as usual ! Anand played d4, Gelfand’s strong opening in this tournament, and managed to beat him brilliantly. As rightly said by GM Mr. Shipov, Gelfand couldnt hold on to his nerves. Its simply proved that the negative side effects played its role in this game. And there may be antidotes in Grunfeld but finding and applying the antidotes for negative effects is too hard. One who can find and apply the antidotes positively can maintain the boosted confidence. Love Shipov’s comentary in Russian. Very funny language. The english translation does a great injustice to Shipov’s colorful russian slang! Shipov’s variations are deep and logical and are at the GM level. Overall though, almost all of Shipov’s colloquial language gets translated in one way or another – and it’s absolutely always a compromise and essays could be written on why one version’s chosen instead of another (except I think writing about translation tends to be even more futile than translation itself). Anyway, I agree with you although I think pointing it out once would probably have sufficed :) If you know Russian then obviously you should stick to the originals – or perhaps you could think of offering an English version yourself. @ChessBlood: If you are fluent in Russian (including Russian slang), why do you read the English version? I guess most visitors of this site (certainly me) have just two possibilities: learn Russian – which would be quite time-consuming if at all possible – or rely on mishanp’s translations. Some phrases or jokes may be hard or even impossible to translate, I sometimes had similar problems translating from other languages (German, Dutch, French) into English … . And, as mishanp correctly points out, live translation of live commentary means constant time trouble which might (slightly) affect the quality of the product? Shipov himself probably couldn’t do the same job in English (maybe only Svidler is bilingual enough). Excellent analysis, GM Shipov. Many thanks for posting this and keeping it on the net. Cheers.